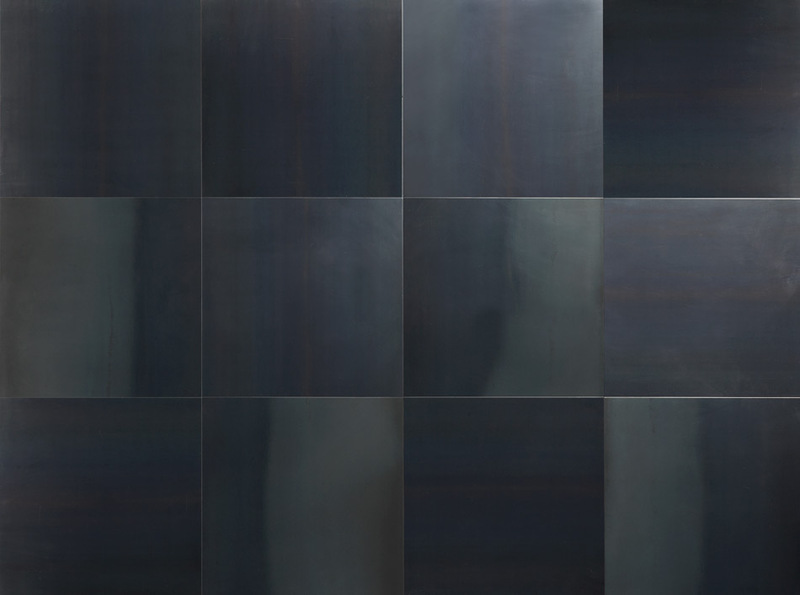 The black sheet is a material characterized by particular black-blue chromatic effects, thanks to the presence of calamine in the surface. Only for internal use, De Castelli uses a black sheet for coatings, floors and furniture accessories, against a material selection and rigid quality control. To facilitate cleaning and maintenance, it is advisable to treat the black sheet with a stabilizing wax if applied to floors or work surfaces or with a transparent paint when used for accessories. For cleaning and maintenance use only a cloth moistened with water or specially painted paint products. Do not use abrasive cloths, solvents, generic detergents or aggressive detergents. Dry the surface well in case of water stagnation. Luxury floors and finishes for a perfect blend of innovation, elegance and quality Made in Italy, unmatched effects transmitted from materials such as natural black sheet. The De Castelli flooring is distinguished by its high quality, which is expressed through careful detailing and manual execution of all finishing and decoration operations.